Love this lotion! Great smell! Perfect for Spring and Summer! I love this cream...I bye two each time I order it because i`m afraid to be empty ...it hold your body nourishing for 24 hour...just as it promise...I also love the smell... love it!!! simply the best!!! it`s stand for all the promises...keep your skin nourishing for a long long time.... very good smell and easy to put on tour skin....I love it!!!! I love this lotion. Smells very good, easy to apply and puts a lot of moisture into skin. Brilliant product, amazing smell and really puts a lot of moisture into your skin which is just what I needed! Makes your skin feel so soft and the fragrance is so yummy. Love this lotion. It sinks in and leaves my skin feeling super soft,smells lovely too. It has only one fault, I go through it way too fast. Everybody is praising Burt's Bees' products, so I wanted to try them too. I've looked for a good body lotion especially for winter time. This Naturally Nourishing Milk & Honey Body Lotion is good and makes my skin soft, but I didn't like the smell. I thought the smell would be more honey-like, but it's really not. 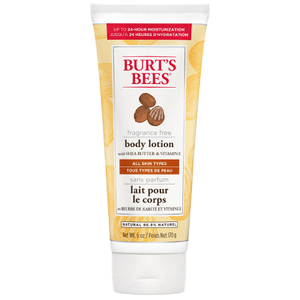 This Burt's Bees Naturally Nourishing Milk & Honey Body Lotion is the BEST I know. I love the smell. You have to try it. 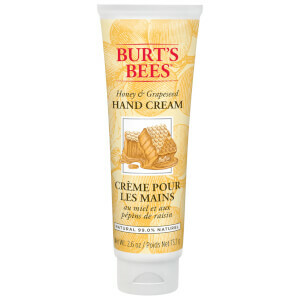 This honey product is a must have for my dry skin. I use it every day.